IGG Irene Mulyagonja speaks shortly after receiving the petition. Photo by Beatrice Leni. KAMPALA–A group of youths under their umbrella association Unemployed Brotherhood has petitioned the Inspector General of Government (IGG), seeking a probe into alleged bribery of NRM Members of Parliament to support the removal of presidential age limit. Augustine Ojobile, national coordinator of Jobless Brotherhood, led a group of youths to meet the IGG, Irene Mulyagonja, where he presented the petition, stating that there are allegations that MPs were paid Shs 800 million each to debate and vote in favour of removal or amendment of Article 102 (b), which would remove the age cap of 35 and 75 for presidential candidates. Ojobile said it is illegal and unprincipled for legislators to seek financial bribe before performing their duties, citing the 7th Parliament in 2005, when legislators were paid Shs5 million each to remove presidential term limits. “At this particular time, where Parliament, a representative of the people is meant to debate on matters of amending the constitution, it is consistently becoming common to heart about money exchanging hands to influence the decisions of MPs,” he said. Among the legislators the youths listed include Usuk MP Peter Ogwang; Koboko Municipality MP Evelyn Anite; Arua Municipality MP Ibrahim Abiriga; Kassanda South MP Simeo Nsubuga and Wakiso Woman MP Rosemary Sseninde among those who have been bribed to support age limit removal. The petitioners asked the IGG to forward the petition to the appropriate departments, including the Directorate of Public Prosecutions to prosecute those deemed corrupt and also probe the bank accounts of the legislators. “We are requesting the IGG’s office to apportion time and look into the bank accounts to ascertain amount of wealth vis-a-vis their earnings,” the petition reads in part. Shortly after receiving the petition, IGG Mulyagonja informed that she currently has 200 petitions to handle but will add them to the queue. She mentioned that the petitioners’ prayers to verify assets, income and liabilities of the legislators is something the IGG has capability to do. 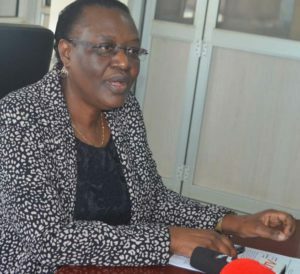 On a request by the petitioners to receive a weekly report from IGG, Mulyagonja said that was not possible, noting that for anti-corruption investigations, one of the key principles is on confidentiality until a report is released or prosecution is carried out and completed.